It is most effective when the clumps are regularly removed and disposed of. Cat's Best Original is made exclusively from PEFC-certified secondary wood materials from the woodworking industry, in harmony with n ature - no tree is felled! 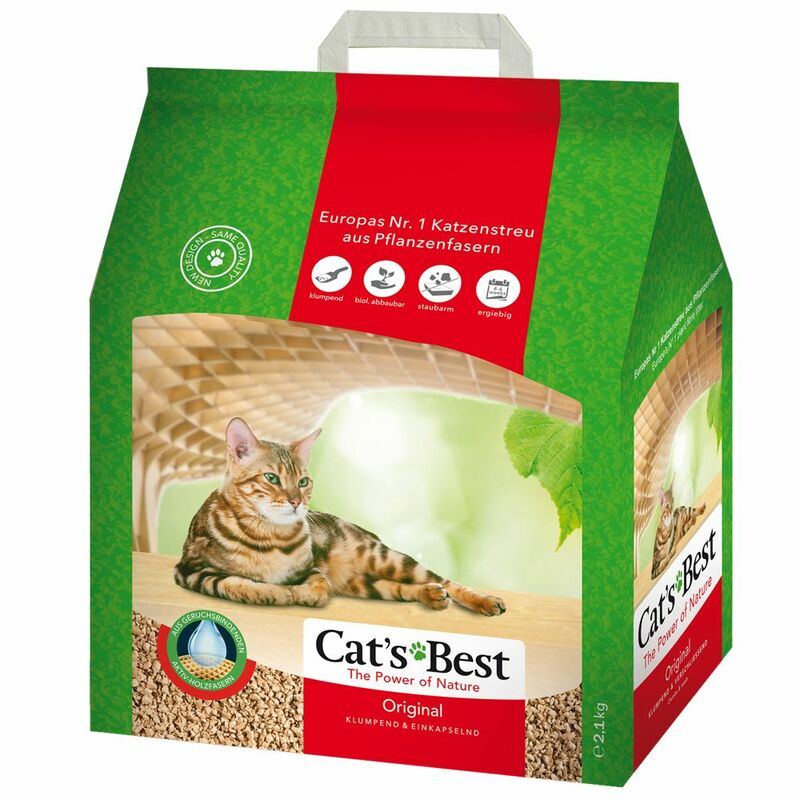 Cat's Best Original is Europe's No.1 cat litter, offering a system of well-being that is perfect for sensitive noses. Cat's Best Original Cat Litter at a glance: Clumping, functional cat litter Made from 100% natural wood fibres: directly from nature Extreme odour binding: naturally fragrnat, with no artificial additives (pure, natural product) Absorbs up to 7 times its own volume in moisture: first-claΒ absorbency for dry paws and optimum binding Very economical: a whole tray lasts up to 7 weeks, more economical than standard cat litters 100% compostable and biodegradable: waste from your cat litter tray can simply be placed in the compost, whilst clumps can be removed from the tray and flushed down the toilet Sustainable PEFC-certified: the wood fibres are produced from secondary raw materials, meaning no trees are felled Low in dust Gentle on the paws Easier to transport - up to 50% lighter than mineral litter Disposal instructions: Clumps should be deposited in the toilet one by one and given plenty of time to individually diΒolve before flushing. Disposal can be made even easier by lightly crushing clumps with a litter scoop to make them smaller.